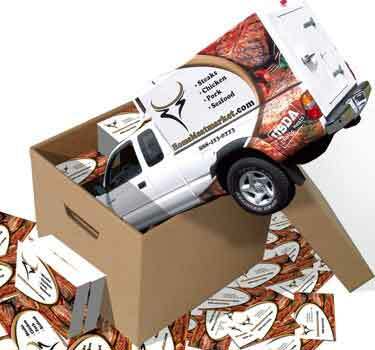 plus 2000 Postcards and Your Vehicle Graphics...One Low Price! Full Color Car Wraps can be a great way to advertise your company's message or update your van with a look that is all about you and reflects your personal life style. Full Color Truck Wraps can be a great way to advertise your company's message or update your truck with a look that reflects your individual interests.